Wolfman, I'm in WA state so have conditions very similar to yours and I've not had any issues with 5100. Yes, I do dry it for an hr or so prior to smoking but have not found it unduly moist right out the gate. You might try putting it out in the direct sunlight for 10 or 15 minutes, or even under a desk lamp. And you might even put it in the fridge for a while as the R/H in the cold tends to be lower anyway. 5100 is a staple of mine and I get an hr's worth out of a bowl with few relights. Again - I am not having issues smoking it with no dry time. Per the thread, I am trying to dry it out enough to try out rum and whiskey toppings. 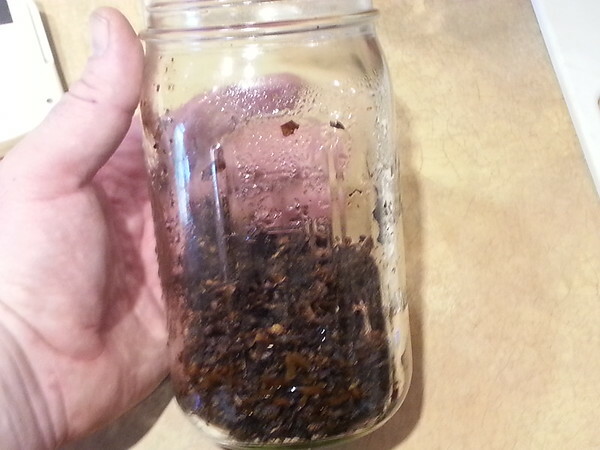 Take it to the dry side, add the juice, let the alcohol dissipate a bit, and pack tight for a few months. Might as well jump in and top some, see what happens. All I know is, as with anything, tobacco can only hold so much moisture. Once saturation occurs, it stops holding moisture. However, you may find that the alcohol will drive out moisture, much like it does when you use a methanol additive to your gas tank to drive out water. Odd though, that it won't get crisp. Seeing as how you are getting other leaf to dry, but not the 5100. What the heck, drown it in booze and let it dry. Never know until you try, right? Mostly I find it odd that a supposedly plain Jane red ribbon cannot dry out. I turned a ceiling fan on and will leave it overnight. One I'll hit with rum tomorrow, and I will do the other in bourbon or read up on stoving. Not sure what I'd do then - smoke it as-is, blend with some unstoved 5100, blend it with something else, or case it with hootch and then smoke it. Stoving mellows the tang out of the leaf and starts to give more of a caramel scent and flavor when smoked. Think of burnt sugar.. I'll have to see if my oven goes that low. I have a fancy oven that has a dehydration cycle, but it only goes to 140* with convection. Or did you mean 220*? Just found something about using a canning jar with you "220 method". 220* for 2 hours and 20 minutes. Perhaps if you have a food dehydrator you could toss it in there and see if it will dry out. I talked with a couple of tobacco sages yesterday and I was informed that it is not uncommon to find an antidessicant additive in even untopped "English" blends. 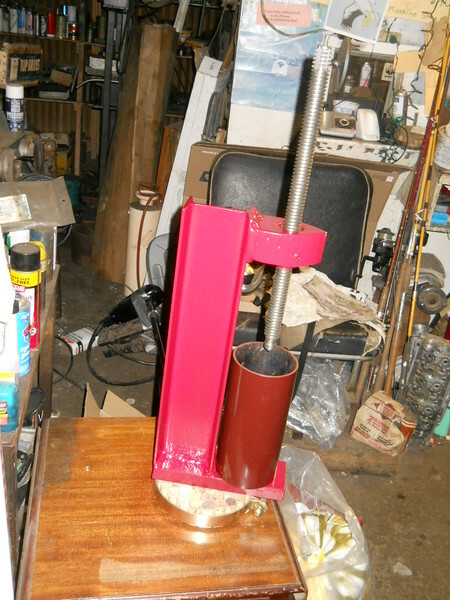 This is to keep the product at a stable consistency of moisture content. (I think it may have something to do with the fact that water is cheaper than tobacco, call me paranoid)..
Propylene glycol is the most common additive, and it has been in use for some time now. "Propylene glycol and other humectants are heavily used in drugstore tobaccos and jar blends to keep them from drying out. 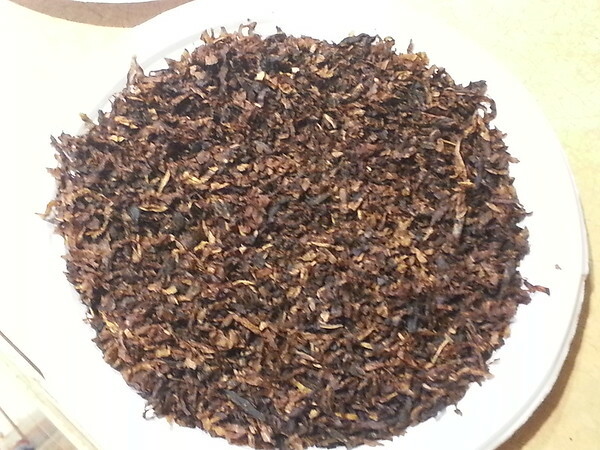 Some of these tobaccos will not dry out if left loose on a newspaper for a week. Premium blends, however, usually do not have as much PG as drugstore blends, but it's hard to find one that has [absolutely] none. [...] Proplylene glycol can prevent tobacco from drying out and helps retard mold growth. It is, however, a chemical that many of us would rather not have in their tobacco. Discovering that a favorite blend has a small amount of PG in it is not going to keep me from buying it. But knowing that a blend is treated with PG and other chemicals might very well keep me from even trying it." "Propyline glycol is not the evil chemical that some believe it to be, but, like anything else, it can be abused, and often is in "cheap" tobaccos. Glycerin, glycerol and alcohol were widely used in the past in flavoring tobaccos. Why so much of the industry switched to PG is a question that can PROBABLY be answered by economics. In a relatively pure state, PG is viscous, and somewhat slimy to the touch. It binds readily with water, and is often used in humidifying units in cigar humidors to maintain a fairly constant relative humidity of about 70%, considered ideal by many. It has a distinctive sweet taste and substatially lower toxicity than ethylene- and diethylene glycols, but high ingested doses have correlated with hepatic and renal diseases. Don't drink it. 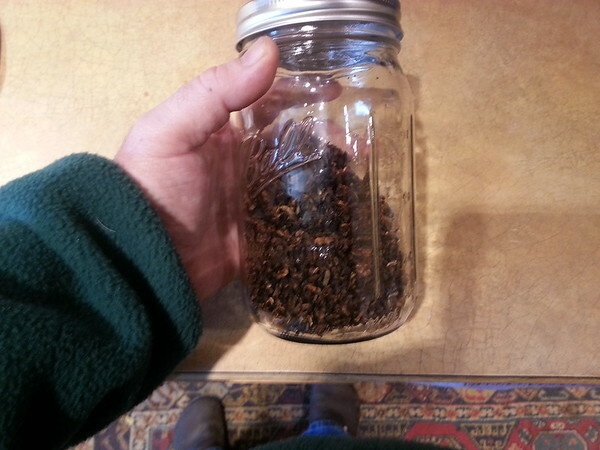 If your tobacco is sticky, and it won't dry out, you've probably got a good dose of PG present. It's also found in oil-free salad dressings, and a lot of cosmetics. And, no, I don't use it, though tested samples of some ingredient leaf have shown small amounts present." You can see the condensation in the jar. It smells like stewed prunes in the oven, but there is zero color change in the ribbon. I put it back in the oven a but to drive off what moisture condensed on the glass. I figured it was PG, and that doesn't bother me much. I vapid for a bit and wondered about the PG and tech and read up on it. It's somewhat similar to water, and is responsible for the huge plumes of "smoke" (steam) people blow out while vaping. My problem here, I suspect (and this is a guess), tobacco stoves at a higher temp than PG will volatilize. I'll drive over the moisture that's in there, and see where I'm at. Wet weight was 2.56 oz, pre-stove (a week air drying) was 2.41 oz, post-stove is 2.09 oz. After another 20 or so minutes in the oven at 220*, in the jar with no lid, we're not quite crispy now, but close. 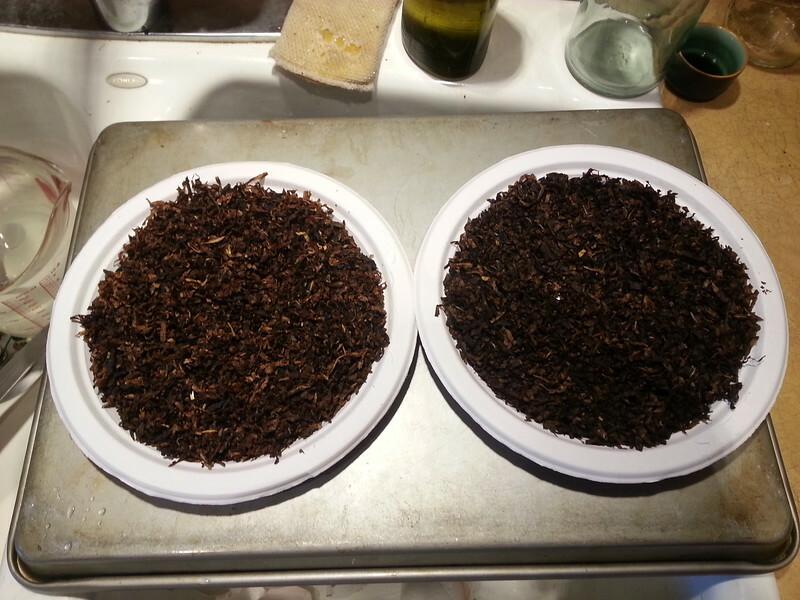 On the left is air dried, on the right is post-stoving. Smells a bit toasty/prunier, but may not have gotten all the way to "stoved". Well, you got a half ounce of something out of there, that leaves a half ounce of something you can add to it and have it the same moisture content as when you bought it. I like the darker tone too, not quite what you get from a true "stoved". I'll bet it's smoothed out a bit too, eh? Tried a wee bowl and it was a bit mellower and sweeter. The vinegar tang was gone. I split the dried and the stoved in half and mixed them, so two 2 oz Jars. On one, I misted with 1.5 oz of Ron Zacapa Solara 23. The other with 1.5 oz of Lagavulin 16. Put them into plastic bags for a night to hydrate, and will dry down to storage moisture tomorrow before jarring. Be interesting to see how this turns out. 2 oz each of Red Solara and Lagavulin Cake are happily drying out on plates in a cool room with a ceiling fan on. Let me know! Sounds like tasty treats on the way!! I was sent this pic by my friend in Springtucky. Not quite done, and I have no idea what he made it out of.